Our excellent production capability allows us to engage in the manufacture of premium quality Hot Foil Coding Machine. 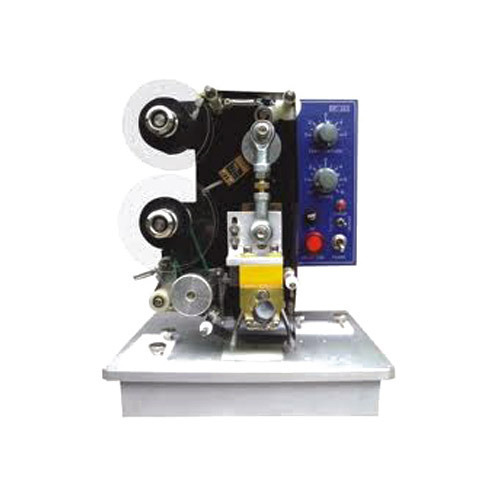 These machines are manufactured using quality-approved raw materials as per industrial quality standards. These are generally used for printing notes such as month of manufacturing, batch number and expiry date on plastic and paper bags in industries such as food and pharmaceutical products. These printers adopt thermal printing ribbon to avoid contamination due to oil. Therefore, these indirectly contribute to keeping the surroundings clean.